Surrounded by the dazzling landscape of the Andes Mountains, join Yellow Mat Yoga for a once-in-a-lifetime experience to getaway from your daily routine and reconnect to your inner explorer. A far cry from your average yoga retreat, this 7-day trip features four days in the beautiful resort town of Pucon, Chile beside a volcanic lake, hiking through national parks to pristine blue waterfalls, and even a Chilean-spanish lesson. Are you foodie and an outdoor enthusiast? Pucon is the perfect combination of a thriving foodie scene and stunning landscapes. Mouth-watering, cosmopolitan menus showcasing the best of indigenous Mapuche cuisine and indulgent German dessert and patisserie traditions. Get ready to fill your days with fun: choose from among the many restaurants, markets and craft fairs, or take your chances in one of the lakeside town’s elegant casinos. Satisfy your sporty side with rafting, canopying, canyoning and trekking amidst the area’s breathtaking volcanoes, rivers and lakes. Santiago is defined by coexisting contrasts: colonial and modern architecture, energizing street scenes and quiet parks, elegant shopping centers and earthy markets, an exciting nightlife and romantic restaurants. 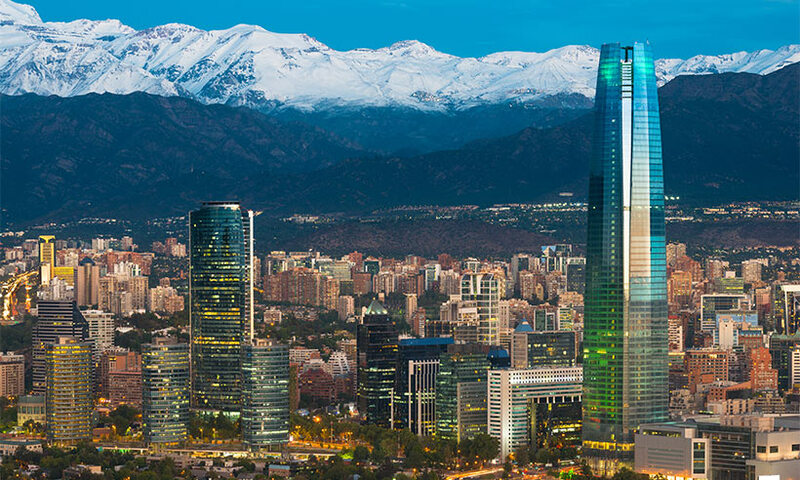 With ski slopes and beaches at a short distance and all that a world capital has to offer on a daily and nightly basis, Santiago is an exhilarating setting to study Spanish and discover Chilean culture.